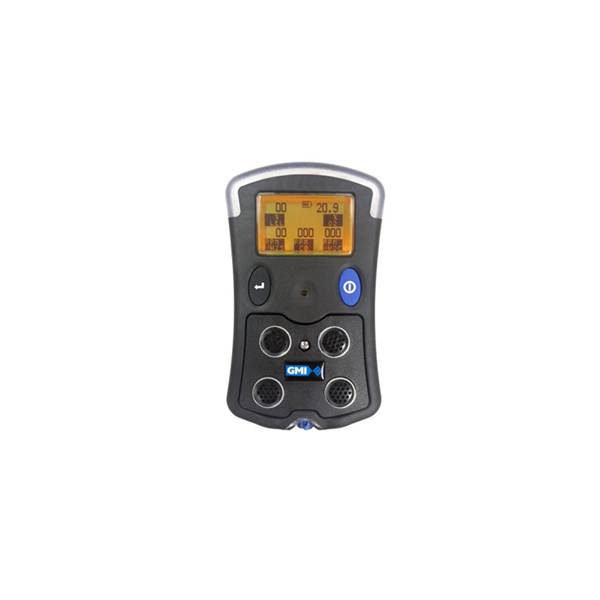 The PS500 is a rugged, easy to use portable multi-gas detector ideal for use in confined spaces and hotworks. Both lightweight and durable the instrument monitors and displays up to four hazardous gas conditions simultaneously using catalytic bead sensor technology for a wide range of combustible gases, and electrochemical sensors for carbon monoxide, hydrogen sulfide, and oxygen deficiency. Operator interface and calibration are intuitive and easy by toggling between simple one-button functions. During hazardous conditions users are alerted via three alarm functions: vibration, red flashing LEDs, and audible buzzer. To ensure the highest level of personal safety, the PS200 is also fitted with an optional man down/motion sensor that activates alarms if the instrument is not moved at a pre-set time. The instrument is also fitted with an optional built in remote sampling pump making it ideal for use in confined spaces. The PS200 features a screen backlight that can be manually switched on in poor lighting conditions. Additional features include: customized user identification code setup, calibration due date display, and standard data logging that can be downloaded to a docking station via USB connection to a computer. Also available is a auto bump and cal station, 5-way charger and PC data logging software.